We’ll continue to add to the calendar throughout the month. And you can follow us on Facebook, Instagram, and Twitter for even more updates. Join Perennial and Earthbound Beer for an evening of crafting at the brewery on Tuesday, February 12th. Make Valentines for your sweetie using reclaimed and upcycled materials while enjoying some tasty brews. $1 from every beer sold will go to fund Perennial’s educational programs. Thomas Dunn Learning Center presents a special Valentine’s Day edition of Sip ‘n Sketch on Wednesday, February 13th. This month’s session will be instructed by award-winning local artist Mark Swain. Cover model Brooks Johnson will be the subject of this life drawing class for all skill levels. Bring a date, a snack, and a beverage. Please call 314-282-9314 to register. Cherokee Street event space Artist Art hosts Wine at First Sip on Wednesday, February 13th. Enjoy a romantic atmosphere as you tantalize your taste buds with delicious wine and the perfect pairings to make you fall in love. Vegetarian and vegan options will be available. Purchase tickets here. The Feasting Fox is offering their annual Valentine’s Day dinner on February 14th. Choose from a filet mignon for two or several other special entrees and enjoy a bottle from their extensive wine list. Reservations are recommended; call 314-352-3500 or email thefeastingfoxstl@gmail.com. Earthbound Beer presents the Ultimate Smoochfest on Valentine’s Day. Tablecloths, candles, fancy waiters, and more will make for an unusually romantic night at the Cherokee Street brewery. Schedule a Clay Date Night for you and your Valentine at South Broadway Art Project on any Friday night. Learn the basics of pottery wheel throwing and make a couple of pieces for that special someone. Feel free to bring snacks or beverages. Find out more and purchase tickets here. 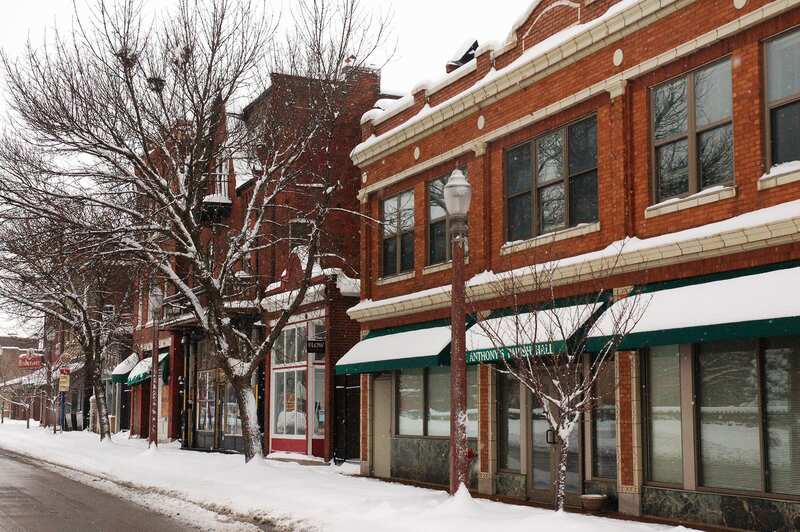 Gravois Park‘s monthly meeting is Tuesday, February 12th. The neighborhood association meets at 6pm in the old Jefferson Bank building at 3353 California, just north of Cherokee Street. The Dutchtown West Neighborhood Association will be meeting on Wednesdays in 2019. Their February meeting is Wednesday, February 13th at 7pm. 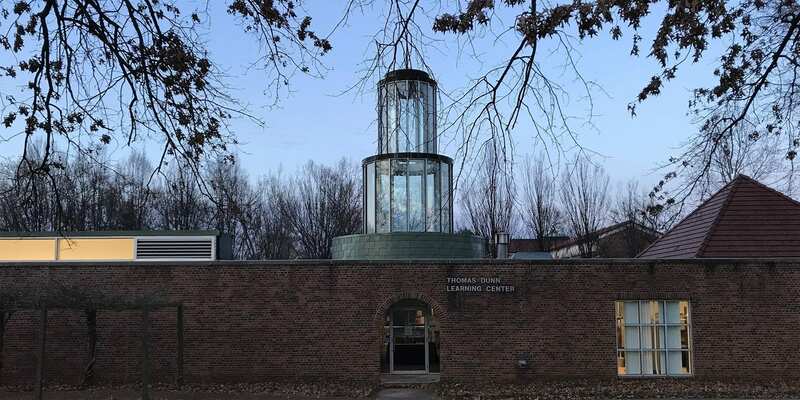 The meetings will continue to be held in the banquet hall at Grbic Restaurant, 4071 Keokuk Street at Meramec. 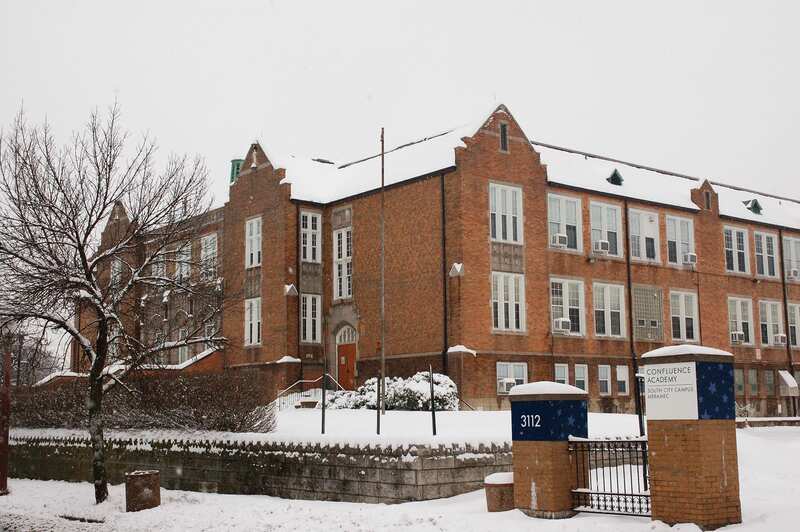 The St. Cecilia Historic District meets on Tuesday, February 19th at 6:30pm at St. Cecilia’s School. February’s meeting will feature a Citizens on Patrol training session. The Cherokee Street Community Improvement District holds their monthly public meeting at 5:30pm on Thursday, February 21st. We’ll update our calendar with a location when it’s confirmed. Marine Villa‘s neighborhood meeting is at Irish Corner Pub at Cherokee and Lemp on Monday, February 25th. They’ll meet at 7pm in the back room. 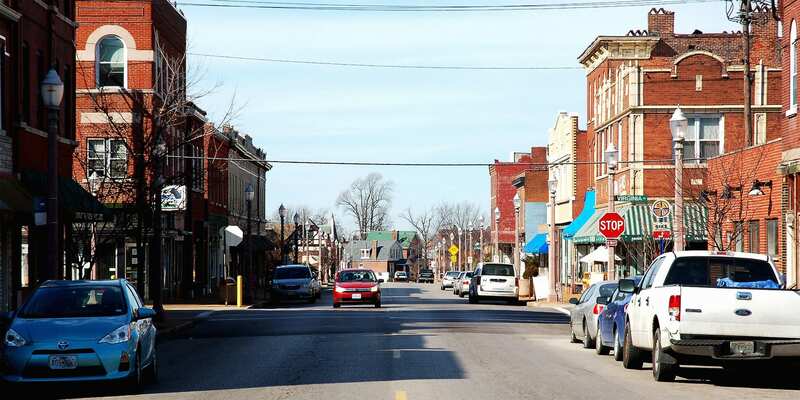 The Mount Pleasant Neighborhood Association has their first quarterly meeting of the year on Wednesday, February 27th. The meeting is at 7pm at the Gretchen Inn at the Feasting Fox. Finally, the Dutchtown CID Board of Directors meets on Thursday, February 28th. The meeting is at 5:30pm at Urban Eats. Thomas Dunn Learning Center‘s Art Lab is now open Monday through Thursday! Come in to work on your own piece or participate in the focus of the day. Art supplies are available along with tons of items to reuse and repurpose. With tax season coming up, Thomas Dunn is bringing back Money Mondays. Learn basic household finance and money management skills to help get your new year on track. You can drop in from 4pm to 6pm on Mondays, or call 314-282-9314 to schedule an appointment on Wednesdays. Speaking of taxes, the St. Louis Tax Assistance Program is back at Thomas Dunn this year. Schedule a Wednesday appointment to get free tax preparation assistance. Also on February 13th, at 6pm Thomas Dunn hosts a watch party for the President of the Board of Alderman Candidate Forum. They’ll live stream the forum from 9 Network and provide the popcorn. This is a great opportunity to learn about the candidates if you’re unable to make it to other forums throughout election season. 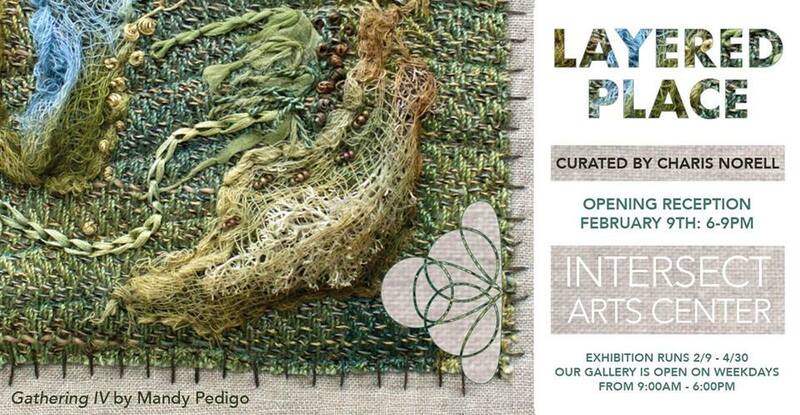 The gallery at Intersect Arts Center welcomes Layered Place with an opening reception on February 9th at 6pm. Layered Place invites viewers to reevaluate their definition of landscape, and consider the multiple “layers” of the multi-faceted modern landscape. Featuring works from seven St. Louis artists, the exhibit will be on display through April 30th. Intersect’s gallery is open weekdays from 9am to 6pm. Intersect is offering beginners classes in Capoeira Angola, a form of Afro-Brazilian dance and self defense. Classes will meet on Mondays and Thursdays at 7pm. The wood shop at Intersect is open for youth and adults to brush up on basic skills or work on advanced projects. Open studio hours for youth are Thursdays from 3pm to 6pm, and for adults on Thursdays 6pm to 8pm and Saturdays 12pm to 2pm. Join Dutchtown South Community Corporation on Tuesday, February 5th at Thomas Dunn Learning Center for an open dialogue about the second Data For Black Lives conference and the recently released Equity Indicators Report for the City of St. Louis. Come participate in a report back and fireside chat with folks who care about racial equity in our city and region. The DSCC Community Empowerment Committee meets on Wednesday, February 27th, 6pm at Thomas Dunn. The CEC implements the programs of DSCC and addresses issues in the neighborhood through their own program ideas. Dinner and child care are provided. DSCC hosts an open house on Thursday, February 28th at their office on the corner of Virginia and Meramec. Come by to meet new members of the team and find out what DSCC has in store for 2019. 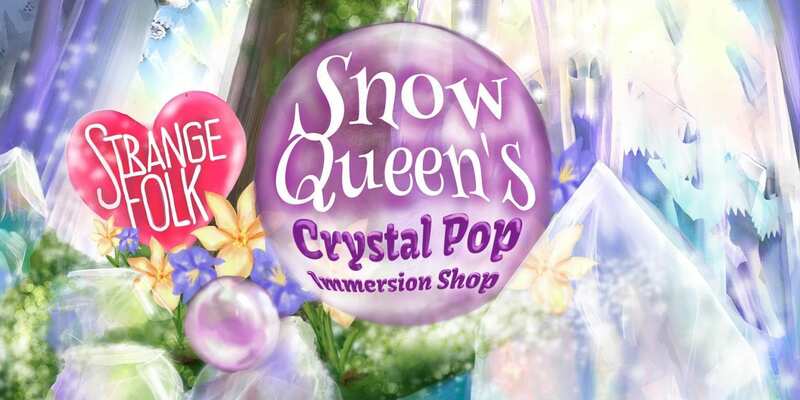 On Saturday, February 2nd, Urban Eats Café hosts Strange Folk Festival‘s new traveling pop-up boutique Snow Queen’s Crystal Pop Immersion Shop. 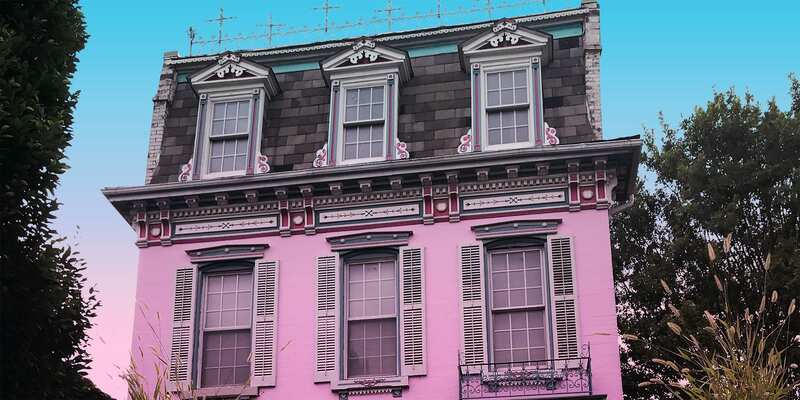 Browse art and products from local makers and creatives, participate in a hands-on art project, and enjoy spiked cocoa cocktails. Come to Thomas Dunn Learning Center on Thursday, February 7th to learn more about the Louisiana Calm Streets Project. Plans are underway to make Louisiana Avenue accessible to walkers, joggers, and bikers as well as vehicular traffic. Speed reduction techniques such as bumpouts and speed humps will be implemented to encourage the use of Louisiana for not just transportation but also recreation. You can read the preliminary report here. The St. Louis Vietnamese Community hosts a Lunar New Year party at St. Mary’s High School on Sunday, February 10th. 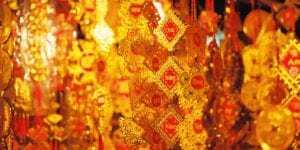 Celebrate the Year of the Pig with music, authentic Vietnamese foods, dance, games, and prizes. The League of Women Voters will moderate at debate for the 20th Ward Alderman candidates on Tuesday, February 19th. 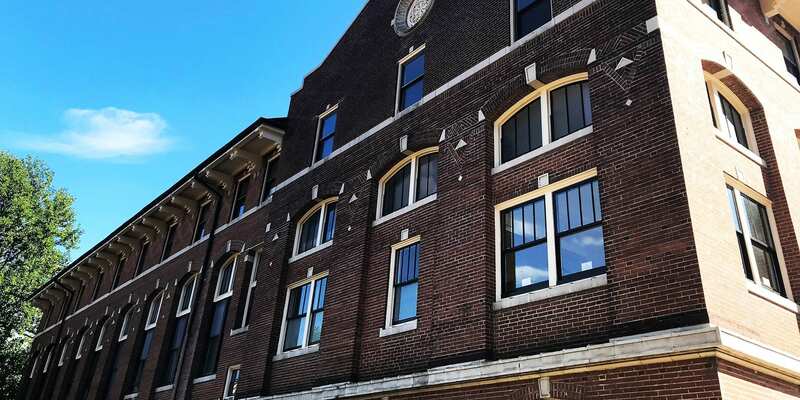 Thomas Dunn Learning Center will host the debate between incumbent Ald. Cara Spencer and challenger Sunni Hutton. DT2‘s monthly After Hours happy hour is Wednesday, February 20th. Come meet the new owners of Paul’s Pizza on Virginia and find out what’s cooking in their ovens (note: it’s not pizza). Perennial has a packed calendar this month. Clothing swaps, sewing classes, metalsmithing, quilting, home repair, and more are all on the schedule. Check out their events page to find something for you. The Original Crusoe’s Restaurant celebrates 40 years in business this month! On Saturday, February 9th, bring the kids for Kids’ Weekend, featuring lots of activities plus free food for youngsters. Saturday the 16th is the Employee Party, celebrating employees past and present. Come party with the folks that have been feeding you for the last 40 years. The big 40th anniversary bash is on Saturday the 23rd, and it’s sure to be an outrageous time. 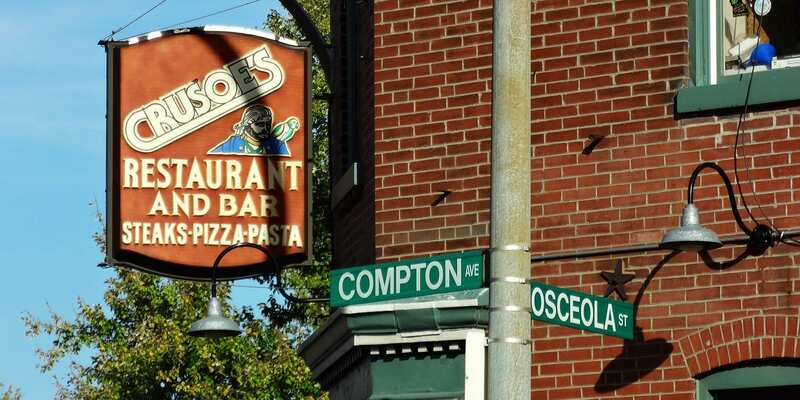 Thank you to Crusoe’s for 40 years as a neighborhood landmark! There’s even more over on our Dutchtown calendar! Check back often, and don’t forget to follow us on Facebook, Instagram, and Twitter for the very latest. You can also sign up for our mailing list for occasional updates. Campbell Security Group has recently started patrolling the Dutchtown CID footprint on foot and by car. 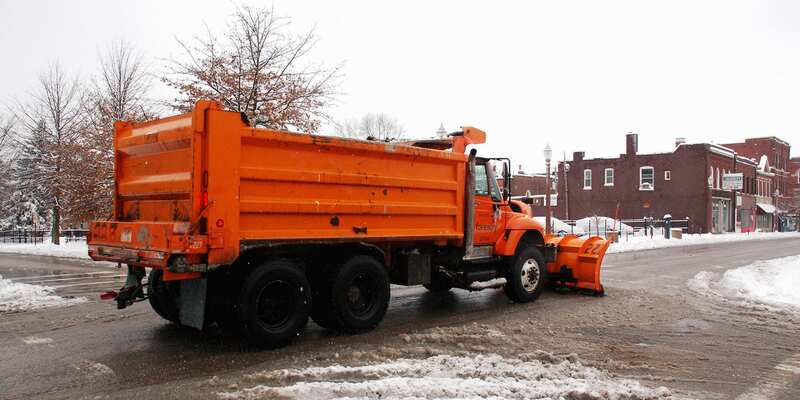 Campbell employs off duty, uniformed St. Louis police officers for its neighborhood patrols. You may have noticed these officers walking the beat in the Dutchtown CID and meeting with business operators. You can meet some of the officers from Campbell on Tuesday and hear about their results so far. Also on hand will be Neighborhood Liaison Officers from the St. Louis Metropolitan Police Department to discuss the department’s efforts in the neighborhood. We’ll also have Neighborhood Improvement Specialists available to discuss issues with nuisance and problem properties and other quality of life issues. Members of the Dutchtown CID Safety Committee and Board of Directors will be there to talk about the CID’s plans for 2019 regarding safety and more. The CID will also be providing some refreshments. Let us know you’re coming by RSVP-ing on the Facebook event page. If you can’t make it but still have questions or want to get involved, the next quarterly meeting of the Dutchtown CID Safety Committee is on March 21st, 5:30pm at Crusoe’s. You can also email safety@dtcid.org for more information. As we’ve been reminded, weather can be a factor this time of year. So make sure to follow your favorite businesses and events on social media to find out about last minute changes and cancelations. The first DT2 After Hours of 2019 is at Henry Funeral and Cremation Services on Wednesday, January 16th. 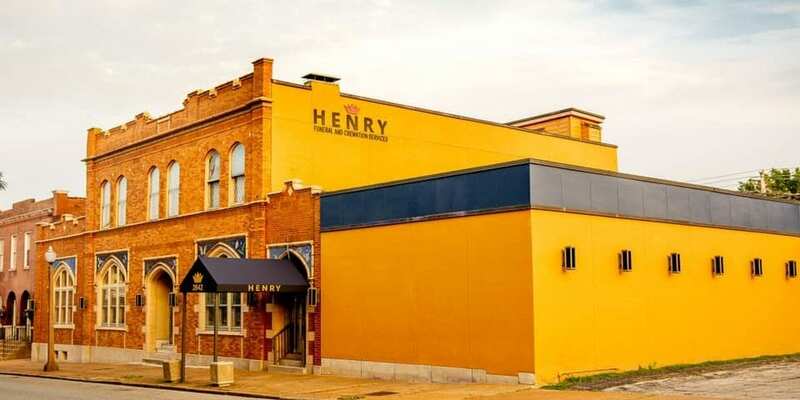 Director Brandon Henry took over the former Gebken-Benz Mortuary at 2842 Meramec Street just last year. Join DT2 beginning at 5:30pm for some light refreshments and to welcome our new neighbor and find out about more about Henry’s services. On Tuesday, January 29th, the Dutchtown Community Improvement District invites you to Original Crusoe’s to meet the neighborhood safety team. 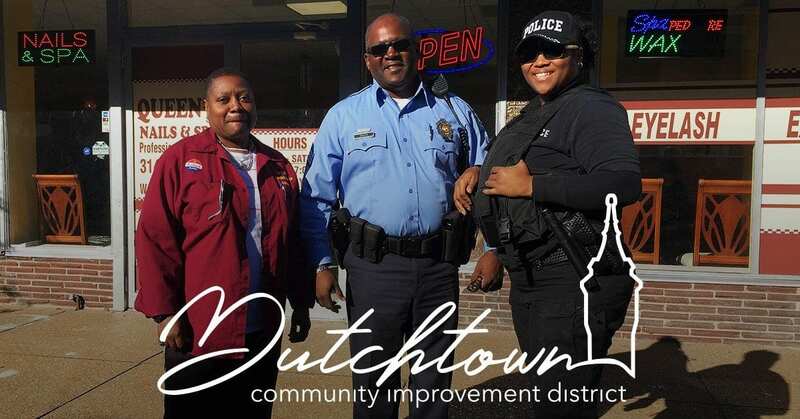 Meet members of the Dutchtown CID Safety Committee, secondary officers from Campbell Security Group, and neighborhood liaison officers from the St. Louis Metropolitan Police Department. Find out more about the secondary patrols that have been roving the CID, learn about the Safety Committee’s goals for 2019, and share your comments and concerns. Municipal elections are coming up in March. The 20th Ward will elect an Alderman and the President of the Board of Alderman will be elected citywide on March 5th. On January 24th, come to the Gretchen Inn at the Feasting Fox for a candidate forum. Incumbent Cara Spencer and challenger Sunni Hutton will discuss their plans for the 20th Ward. Following that, you’ll hear from incumbent Board President Lewis Reed and his opponents, Megan Ellyia Green and Jamilah Nasheed. The St. Cecilia Historic District Neighborhood Association meets on Tuesday, January 15th at 6:30pm. They’ll meet at St. Cecilia’s School. 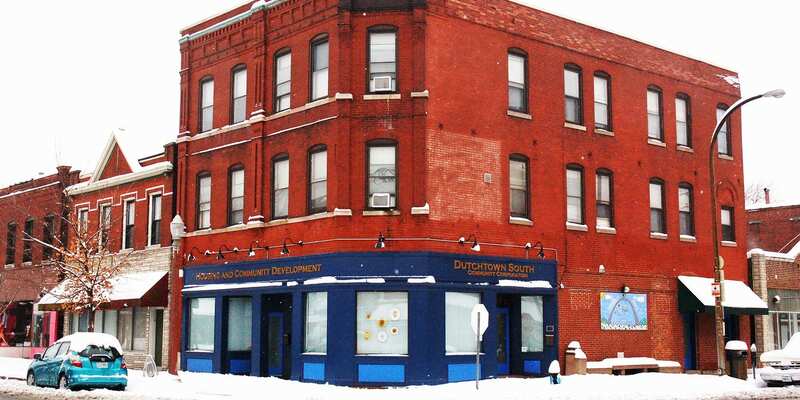 The Dutchtown CID Board of Directors meets on Thursday, January 24th, 5:30pm at Urban Eats. 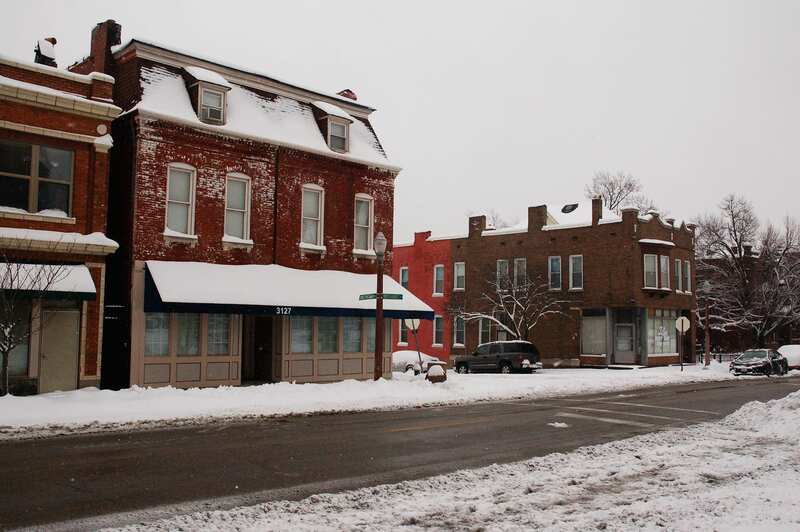 The Marine Villa Neighborhood Association holds their first meeting of 2019 on January 28th, 7pm at the Irish Corner Pub at Cherokee and Lemp. Your Story Studio is an ongoing workshop where you can learn creative ways to bring your story to life using words, pictures, and songs. Share ideas and work together to give your imagination a workout. No experience is necessary. The workshop meets on Tuesday and Thursday afternoons. Thomas Dunn hosts three art projects beginning in January with Owning the Edge: The Majority Minority Movement in America. Faces Not Forgotten, honoring St. Louis children lost to gun violence, headlines the exhibit through January. Ain’t I American, examining the way we view ourselves and others through our relationship with America, will be on display through February. And The Awakening Project, aiming to empower women through authenticity, body positivity, and self-actualization, will exhibit into March. The opening reception is Thursday, January 17th at 7pm. Thomas Dunn will be open on Dr. Martin Luther King Day (Monday, January 21st) for a special viewing of the Faces Not Forgotten project. The gallery at Intersect Arts Center host First Fruits, a traveling exhibit exploring the ancient tradition of sacrificial yielding back to God the best portion of life’s blessings in gratitude. Works from 24 artists will be on display beginning January 14th, and an opening reception will be held Saturday, January 19th at 6pm. The gallery is open Monday through Friday from 9am to 6pm. Intersect and CommUnity Arts host a film screening of 13th, a documentary about mass incarceration, on Friday, January 18th at 5:30pm. The screening will be followed by a discussion about the film and mass incarceration. Light refreshments will be provided. Beginning January 28th, Intersect will offer beginners classes in Capoeira Angola, a form of Afro-Brazilian dance and self defense. Classes will meet on Mondays and Thursdays at 7pm. Registration is now open for Advanced Ceramics with Justin Leszcz beginning in February. This nine week course will only accept five participants, so sign up ASAP. That’s a lot for just the last few weeks of the month! And there’s plenty more on the Dutchtown calendar. Plus we’re always adding events to the calendar and sharing on Twitter, Facebook, and Instagram so make sure to follow us there. If you’ve got an event in Dutchtown, Mount Pleasant, Gravois Park, Marine Villa, or Cherokee Street that you’d like to share please contact us. Lots of businesses closed early on Friday and remain closed on Saturday, but a few troopers opened their doors. We’ll try to share on our Facebook and Instagram pages which businesses are announcing they’re open. 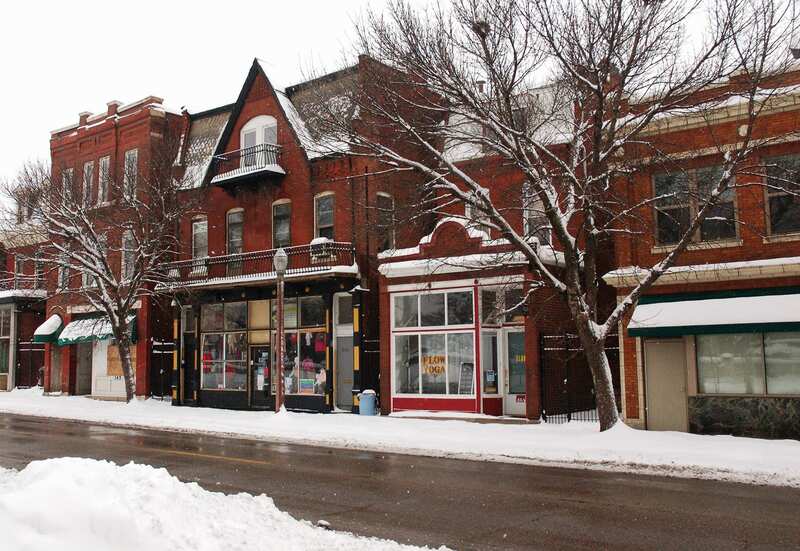 If you manage to dig out, make sure to support the local businesses that opened up just for you! 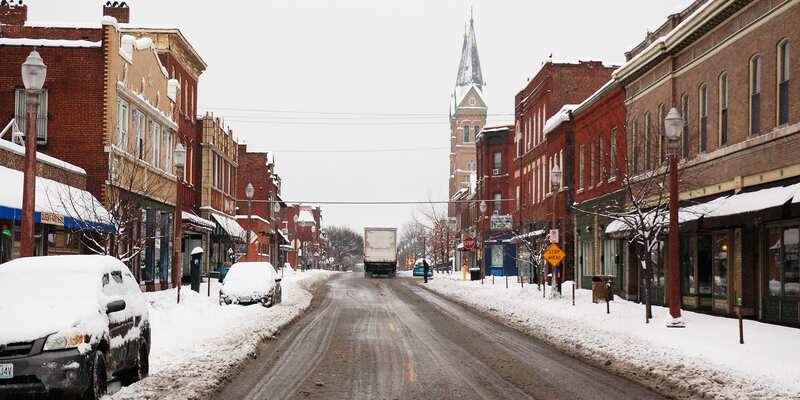 Here’s some photos we snapped of Downtown Dutchtown on Saturday morning. There’s lots more photos after the jump. Urban Eats Café hosts their WinterFaire pop-up market featuring half a dozen local crafters offering jewelry, art, and more. Potter David McBeth will be on site creating bowls for the Empty Bowls Project in support of St. Anthony’s Food Pantry. Make a donation and fill your bowl with soups from the staff’s favorite recipes. Catching the Westbound will be playing tunes all day. And Thorn Studio will be open for all of your holiday floral needs. Carolers will be out and about on Meramec singing all the holiday classics. And Santa Claus will be at the Twice Blessed Annex (3302 Meramec) from 11am to 2pm taking photos with the kids. 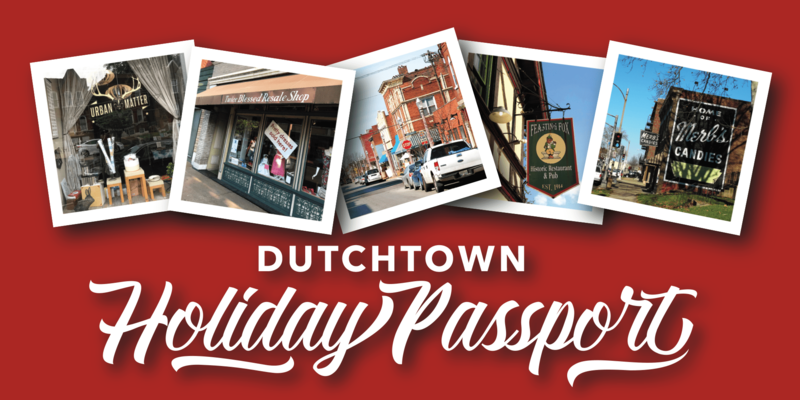 Make sure you’ve got your Dutchtown Holiday Passport to get additional savings at your favorite Dutchtown Shops, plus a chance to win great prizes! You can pick up your Passport at any of the shops along Meramec. Get your passport stamped at different locations to become eligible to win prizes. Read more about the Dutchtown Holiday Passport here.